Great Scotland Yard Hotel opens in summer 2019. The original Scotland Yard, home to the police HQ from 1829 until 1890, has been transformed into a luxury hotel where the most expensive rooms cost £10,000 a night. Behind the red brick Edwardian facade lies a 236 room, £110 million hotel. Luxury design touches reference the building's police and military past - note the use of shields, emblems and historic details etched into glass and metalwork. The grand seven-storey building was used during investigations into Jack The Ripper and, most recently, by the Ministry of Defence but has also featured in 'Atonement', the 2007 film starring Keira Knightley. 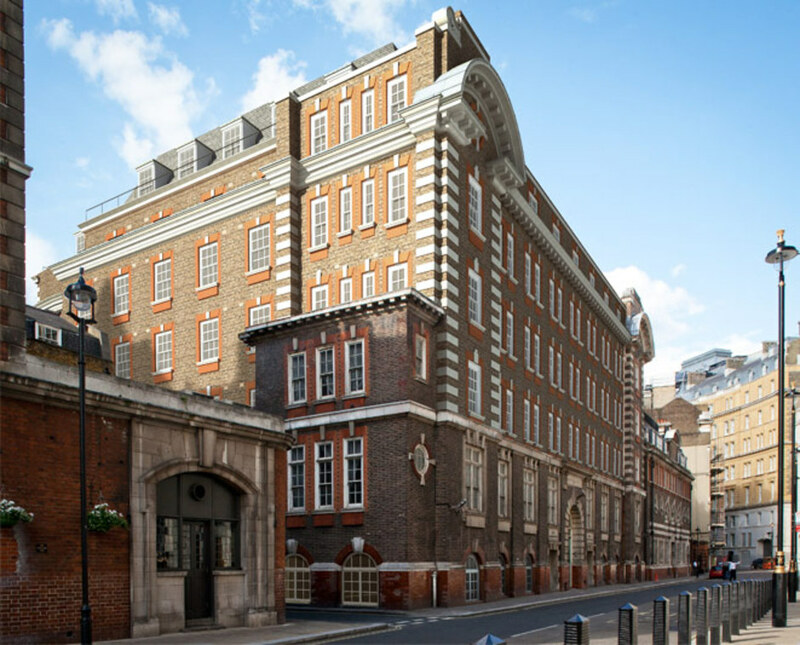 London developer Galliard Group worked with EPR Architects to create a sensitive conversion, adding new attic storeys and maintaining the attractions of the original building. Hand crafted marble, stone, wood, leathers and crystal - the glass sculpture in the main cocktail bar by LASVIT is particularly eye catching - create a sense of opulence and luxury befitting one of the capital's most expensive hotels. Are you booking for a group of people? If you are making a booking for a group of people and require over 10 rooms, you may prefer to speak to the Group Booking Department for Great Scotland Yard Hotel bookings. Special deals can be arranged for groups, including discounts and arrangements for adjacent and inter connecting rooms if required. Call the Groups Reservations Department on 020 7292 2307. The best way to book a group deal is to complete the online form for group reservations at Great Scotland Yard Hotel. What are the best dining options near Great Scotland Yard Hotel London? Great Scotland Yard Hotel gyms, sporting activities, health & beauty and fitness. The best pubs near London Great Scotland Yard Hotel. Great Scotland Yard Hotel clubs, bars, cabaret nights, casinos and interesting nightlife. Where to have your meeting, conference, exhibition, private dining or training course near Great Scotland Yard Hotel. From cheap budget places to stay to luxury 5 star suites see our discounts for Great Scotland Yard Hotel hotels, including The Grand at Trafalgar Square from 77% off.